Friends, I am so exciting to bring you this AWESOME giveaway! This is the biggest giveaway that I've done on my blog so far. It's so big that there are TWO winners! 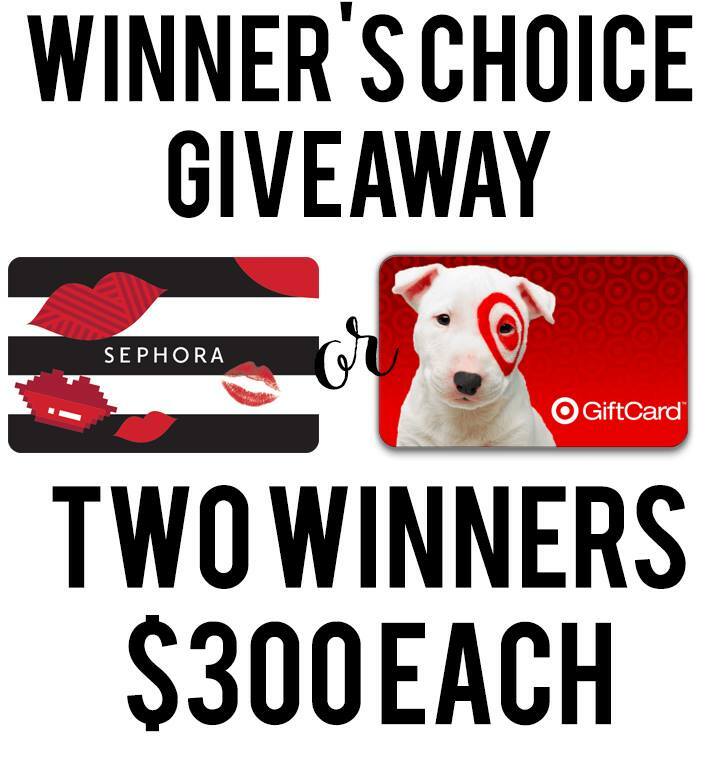 Each winner will get to choose a $300 gift card to either Sephora or Target! Just imagine all the makeup or clothes you could buy with that! Just enter below for your chance to win! Don't forget to sign up for my newsletter so you don't miss one of my giveaways!